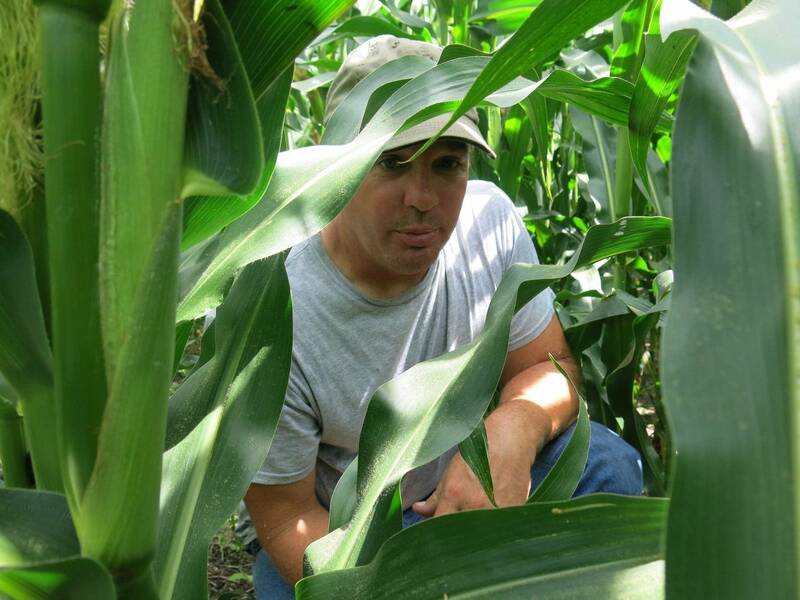 Nick Vinje spread rye and radish seeds this summer among the waist-high corn on his farm. While rye and radishes may not bring a profit, he still expects to see a payoff. Those cover crops ultimately will boost the health of his soil, reduce his runoff pollution and keep the water cleaner. He's moved most of his 1,700-acre farm to a no tillage system the past four years, so cover crops are a natural fit. But it's a complex way to farm and many of his neighbors aren't willing to take the risk, especially now when crop prices and profits are low. "Farming with conventional tillage and a corn bean rotation is sort of the easy button. It's easy to ... just keep repetition going," he said. "I don't know if there's ever going to be an easy button for no-till." Scientists view cover crops as a not-so-secret weapon in the fight to cut farm pollution and boost soil health. But it's been a challenge convincing farmers the benefits outweigh the risks. A short northern growing season rarely leaves time to plant a second crop after harvest, so farmers have been reluctant to plant cover crops. 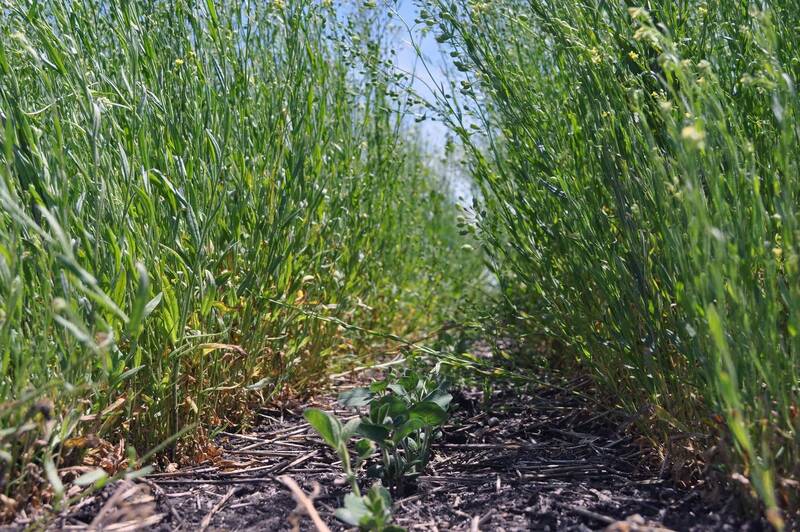 Researchers now, though, are trying to find common ground with farmers on using cover crops. A nearly $4 million effort will develop new equipment and seeding techniques. So rather than waiting until after harvest to plant a cover crop, seeds will be planted in the summer between the rows of already growing corn and soybeans. Scientists will also try to put an economic value on the benefits of cover crops to show the practice isn't just good stewardship, it could help the bottom line. "The farmers said, 'We cannot do cover crops here, because our season is too short. We don't have time to plant them. It will be too expensive. We can't do it.' But this project is to say, 'Yes, you can do it,'" said North Dakota State University professor Marisol Berti, who's leading the effort that includes NDSU, the University of Minnesota, Iowa State University and the United States Department of Agriculture. The plants cover the soil after the primary crop like corn or soybeans is harvested, reducing erosion and water pollution. They keep erosion in check after harvest. Some also survive the winter and will green up to protect the soil in the spring. Russ Gesch, a USDA scientist based in Morris, Minn., has been studying winter hardy crops that can be grown for their oil seeds and believes a dual crop system is possible. Gesch plants an oilseed crop like winter camelina in the summer. The camelina survives winter and starts growing in early spring. Soybeans are planted between the camelina rows. The camelina oil seeds are harvested in early summer, allowing soybeans to grow to maturity by fall. The ground is covered by plants year-round. "This is something that will survive our winters that can be used as a cover crop but you can also harvest it for cash," he said. "Why not do it?" Gesch is trying to find the best techniques and timing to optimize the dual crop system. "There are many, many questions out there that need to be answered and and we're trying to answer as many of those as we possibly can with this research but I'm very confident we'll have success." While many farmers are skeptical, Nick Vinje is all in. He's working with researchers now to test cover crop ideas. His rye and radishes are growing, but the roots are long and spindly, the seeds still lay on top of the soil where they were dropped. Vinje said seeds should be worked into the soil, but that will require modified planting equipment to plant without damaging the standing corn crop. Still, he expects enough winter hardy rye to survive that he'll have a decent field cover next spring. Vinje is willing to risk failure to find a cover crop solution. 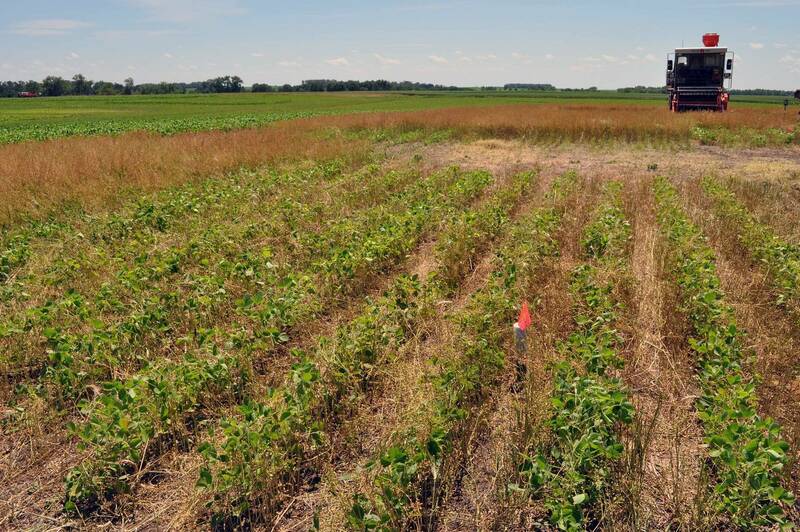 And he hopes this research project will lead to some new crops that can provide field cover and a bit of cash and help improve the odds of successfully growing cover crops in the Upper Midwest. "I mean, I've drank the no-till Kool-Aid and I'm gonna be doing this for the long haul," he said. "The benefits that I've seen already, it's worth doing. So then it's a matter of what we tweak and how to make it work better."